Lately, there has been a lot of period talk in the news. A few weeks ago, presidential hopeful and bully Donald Trump unapologetically stepped into hot water after he intimated Megyn Kelly, a Fox News anchor and one of the moderators of the first Republican primary debate for the 2016 election, was on her period when she dished out some hard questions for the candidate. More poignantly, a Harvard Business School alumna caused a controversy when she ran a marathon without a tampon and inadvertently brought attention to the millions of women who do not have access to sanitary pads or tampons during their times of the month. Proper reproductive health and hygiene is and has been one of the core issues of the nonprofit sector, but it has now resurfaced, with women asking why the government taxes sanitary products, which are staples in women’s reproductive health. 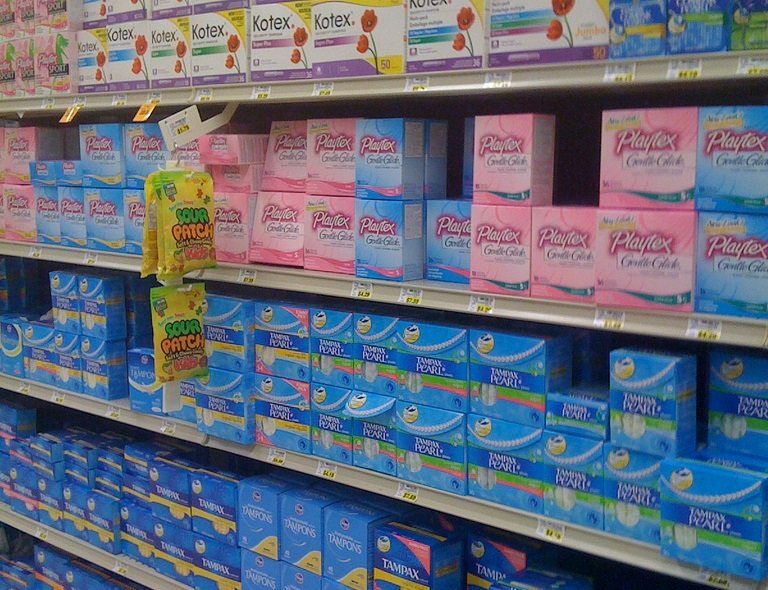 Of course, tampons are among the slew of other goods and services that have a sales tax. But governments around the world also add on a consumption tax on top of a sales tax—a “tampon tax,” as it has been dubbed worldwide. The issue with this tax is that by making these products more expensive, the government is also making them more inaccessible. Yet, the taboo of periods and menstruation likely prevents any serious conversation about the issue, despite half the world’s population having required at some point in their lives a sanitary product. Five American states have waived the sales tax on sanitary products, leaving 45 states that have not, despite exempting other essential items like groceries. A Time article further pointed out the hypocrisy in certain states. For example, New York, which taxes sanitary products, doesn’t tax dry cleaning, newspapers, admission to the circus, and other completely far more unnecessary goods and services than tampons. Earlier this year in Malaysia, petitions to exempt sanitary products from the country’s goods and services tax only elicited chuckles from Parliament. On the other hand, Canada is among an elite group of countries to have done away with the tax completely this past May. Almost 75,000 signed a petition calling for an end of the tampon tax. Understandably, the backlash pointed out that while certain items like cake decorations and music lessons are not taxed, sanitary products were. Kenya, a country where having your period means missing school, has eliminated a sales tax and the Value Added Tax (VAT), or consumption tax on products, as well. Jamaica, Nigeria, and Lebanon are among the other countries that have also eliminated a VAT tax on sanitary products. Governments around the world can follow this lead and either charge lower tax rates or exempt products completely. The biggest hurdle is convincing policymakers how necessary these decisions are for the half the population that requires them. In an impressive campaign, advocates used a viral petition to convince Australia’s Federal Treasurer to back a proposal to exempt sanitary products from the country’s goods and services tax. Australia has a 10 percent tax on the products, which brings in the equivalent of $19 million each year. It would appear that for countries like Australia, there is little political or economic impetus to exempt sanitary products. A sure way to lose trust of your stakeholders is to erect a wall of silence during a crisis. But once you have done so, what then must be done?